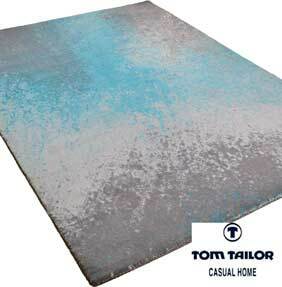 A Vibrant and self-assured collection of fashionable designer rugs by Tom Tailor. The Happy collection is inspired by classic American style with attitude and flair. A collection for the daring, for those who seek entertainment, style and thrills. Happy is available in six different designs, Colour Splash, New York, Painted Stripe, Patchwork Knit, Solid Uni and Stars. Each design will bring excitement and colour plus a bit of class and designer charm to a decor. Choose from three standard sizes, all hand-tufted in India from 6th generation Nylon.